Sony has introduced XBR-A1E Bravia 4K OLED TV at CES 2017. XBR-A1E BRAVIA OLED and XBR-X930E/X940E series is powered by Sony’s 4K HDR Processor X1 Extreme, the Acoustic Surface sound system. It sports a cutting-edge stand-less form factor. 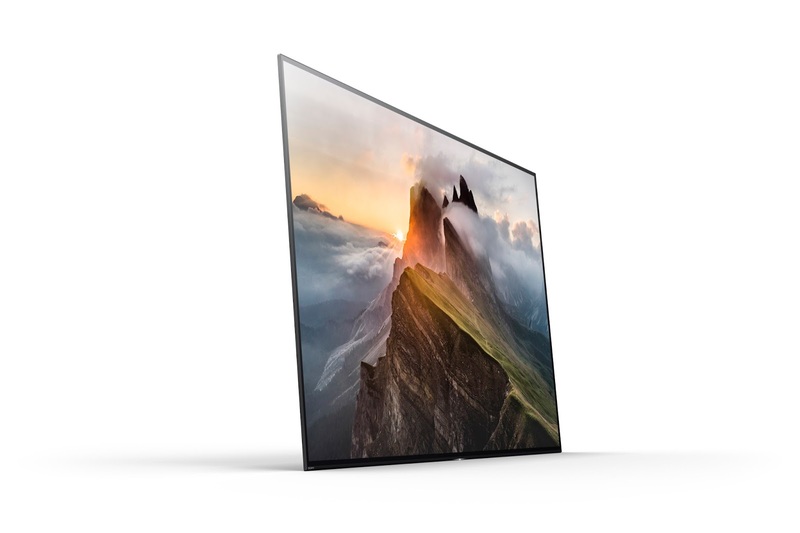 The A1E series offers an enriched visual experience with unprecedented black levels, rich and lifelike color, dynamic contrast, blur-less image and a wide viewing angle due to OLED’s over 8 million self-illuminating pixels. The TV comes with a new Acoustic Surface sound technology that produces a wide sound and image synchronization from all angles, even off to the sides. The A1E Bravia series will be available in 55-, 65-, and 77-inch sizes. 4K HDR Processor X1 Extreme provides the ultimate 4K HDR viewing experience by incorporating three new technologies: object-based HDR remaster, Super Bit Mapping 4K HDR and dual database processing. The ultra slim design allows for flush with the wall mounting and clean cable management for table top mount. Android TV lets you explore a world of movies, music, photos, games, search, apps and more, including PlayStation Vue and Ultra services. Voice Search to find content, ask questions and control your TV. With Chrome Cast built-in, you can easily send content from your smartphone or tablet to the TV. With access to Google Play, you can enjoy what they like to do on a smartphone or tablet, from their TV. With Google Home compatibility, voice-control the TV via the Google Home device for a smarter connected home. XBR-X930E/X940E and XBR-A1E BRAVIA OLED series TV will support Dolby Vision and will be powered by Android TV. They are also compatible with Google Home.